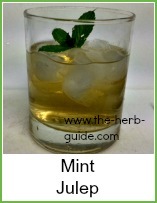 A mint coulis can be sweet or savory. A coulis is a smooth sauce - fruit, vegetable or herb based. You can buy coulis from stores, but it is also very easy to make and is a good way of using up surplus fruit, veg or herbs. The term also refers to the juices which flow from meats while they are cooking. It is generally thick and smooth. 'Coulis' is french for 'strained liquid'. It can enhance food but it also looks very elegant as it is normally drizzled artistically over the finshed dish on the plate. Many up market restaurants use coulis to add flavor and an artistic element to their food. You can recreate this - you can do it! A goblet blender, stick blender or food processor is necessary to get an authentic result. 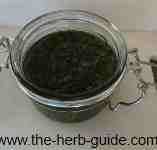 Wash the herbs in cold water and shake off the surplus. 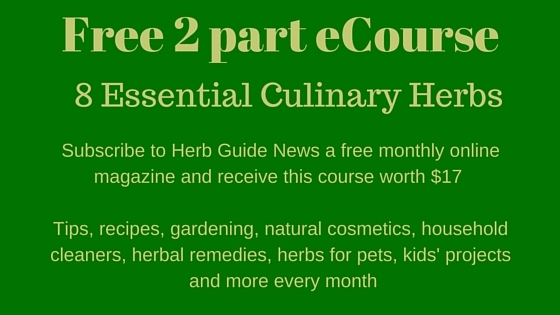 Cover them with boiling water and leave for 1 minute- this will wilt the mint and parsley. Put the leaves into a blender or food processor and cover with vegetable stock. Blend until smooth - taste and season with salt and pepper as required. You can strain it if you want to get a really smooth sauce - use a fine sieve and push through with a spoon to get as much of the mixture as you can. 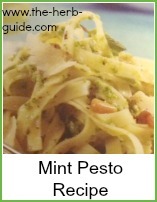 Use a teaspoon to drizzle the coulis over plain grilled/roasted lamb or sausage dishes. It can also be used to swirl over a vegetable soup pea and ham soup just prior to serving. Put the leaves in a blender and cover with the reserved strained liquid. Add a teaspoon of sugar or honey - blend - taste and adjust the sweetness - add a teaspoon of sweetener at a time. Use this to pour over ice cream. Refrigerate surplus to use within a few days but if you're not going to use it quickly, then you can freeze it. 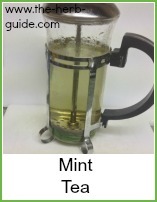 Mint Coulis can be sweet or savoury - pour over ice cream, meat, seafood, vegetables or soups.